Play Disco Double Slot For Free in your PC and iphone with UK Casinos 8. New from the iSoftBet gaming studios is a 5 reel game with comes with 20 winning paylines called Disco Double Slot. Bets on this slot start from 20p and go upto £20 per spin. Disco Double Slot is a classic feature slot / fruit machine game that features the classic slots symbols with an up todate smooth glossy look. 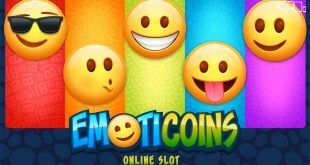 They’res only one bonus feature in Disco Double slot and that’s triggered by landing 3 or more SCATTER symbols, this will give you a 10 Free Spins bonus. In the Free Spins bonus the SCATTERS will not trigger anymore free spins but you need to look out for the Glitter Ball on reel 3, landing this sucker in the Free Spins Bonus game will double your winning line and the max payout is 10,000 coins in each round. The downside is that when you land the glitter ball in the free spins round on reel 3 and it takes you over 10,000 coin anymore free spins you have will be cancel out.